At The Auto Locksmith we are called out several times a week to a very similar problem – A jammed Honda ignition lock. The key will go all the way into the ignition barrel but will not turn. Sometimes the key will turn very slightly, but not enough to go all the way to crank the starter motor. With persistance the key may eventually turn, but the same problem occurs the next time the key is inserted to start the Honda. 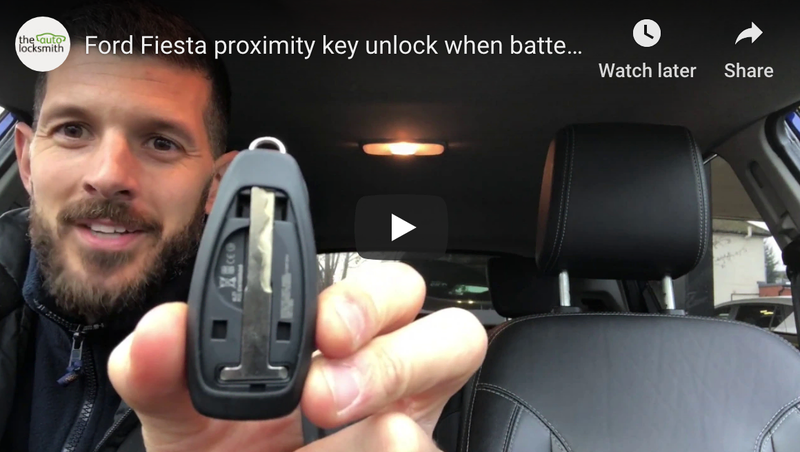 This problem is not specific to any one particular model of Honda but occurs more frequently with the earlier models that use a side cut key like a NE77R key. Nine times out of ten the fault is caused by a worn disk inside the lock. The disks or wafers need to fit flush inside the barrel when the key is inserted. With age the disks can become bent and jam up or become stuck with a build up of dirt in the lock. Every time a key is inserted into the lock small particles of dirt get pushed into the back of the barrel. There is no where for the dirt to go and eventually builds up a residue and jams the wafer out of position. The ignition lock is not an easy one to remove or disassemble, but we have years of experience with these locks and can have it working good as new within 45 minutes. Our repair service is cheaper than replacing the lock and will be carried out wherever your vehicle may be. A similar problem can also occur if he key becomes worn. This is usually fairly apparent as the key will look very pointy and have a smooth sides. We can diagnose this problem very easily and will be able to cut a new key on-site.